Good news for those energetic and enthusiastic dreamers looking to embark on a journey of growing an existing business or those looking to break away from the regular paycheck world. Lending institutions are approving business financing requests at a higher rate than ever before. According to the Biz2Credit Small Business Lending Index™, the June 2018 loan approval percentage rose two-tenths of a percent from May’s figure of 25.9 percent, the highest since 2015. The trend credits the continued strength of the overall economy and emerging optimism among entrepreneurs for its performance, according to a National Federation of Independent Business (NFIB) survey. One historic constant of business financing remains the fact that starting or growing a business requires cash; lots and lots of it. Acquiring the necessary capital to get the shelves stocked, the doors open, and enough sales to get the revenue flowing, remains the most difficult aspect of startups and the number one reason small business startups fail. Most new businesses will remain dependent upon infusions of cash for at least 12 to 18 months until revenues from business activities catch up to startup costs. Any new or expanding venture requires funding sources significant enough to sustain the operations until revenues begin to flow. 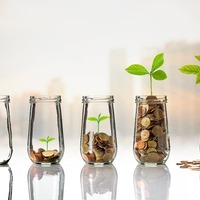 While most organizations are applying their investors’ participation responsibly, there are reports that an increasing percentage of companies are squandering what first appears to be easy money. Some are utilizing it in bad faith and spending it like it’s their own. However, seemingly easy money comes with increased responsibility and a need for additional layers of accountability to ensure that investor capital is not squandered. For help on developing a strategic approach to spending investment capital wisely, contact Junction Creative Solutions at 678-686-1125.